In Forex Trading the 'spread' is the difference between the buy and sell price of any given currency pair. The lower the spread saves the trader money. Most firms offer 4-5 pip spreads in the Major Currency pairs. The best firms offer clients 3-5 pips. 2. Low minimum account openings. For those that are new to trading, and for those that don't have thousands of dollars in risk capital to trade, being able to open a mini trading account with only $200 is a great feature for new traders. 3. Instant automatic execution of your orders. This is very important when choosing a Forex firm. You want instant execution of your orders and the price you see and 'click' is the price that you should get. Don't settle with a firm that re-quotes you when you click on a price or a firm that allows for price 'slippage'. This is very important when trading for small profits. You need a firm that gives you access to the best charting and technical analysis available to active traders. The firm that I recommend gives clients FREE professional charting services and even allows traders to trade directly on the charts! You want high leverage—the ability to trade a large amount with a small margin deposit. Some of the best firms offer .25% or 400:1 leverage. 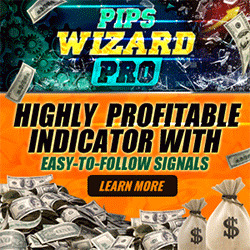 You want the flexibility of opening positions on the same currency pair in opposite directions without them eliminating each other and without margin increase! 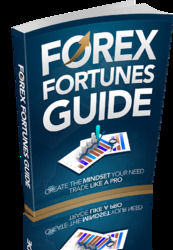 Here is a list of some of the main Forex trading Firms on the Internet. After a lot of research and personal experience, the firm that I recommend with the above-mentioned benefits is Capital Markets Services LLC (CMS Forex LLC). You can research the rest of the firms listed to see for yourself.